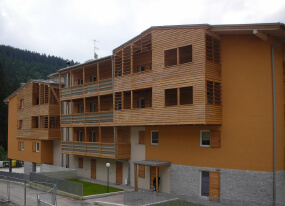 XLAM DOLOMITI CONSTRUCTION is our business division used in the design of wooden buildings with XLAM panels. 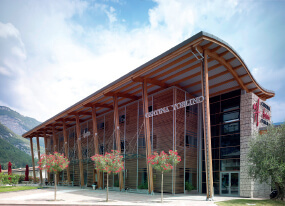 The technology helps achieve a high degree of prefabrication of the buildings, delivered to the client in the raw, advanced raw, or turnkey forms. XLAM panels are used in the construction of multi-storey buildings, public buildings, and large public facilities such as schools and malls. 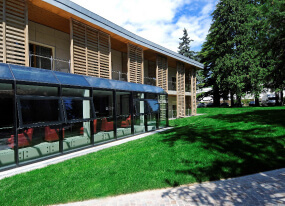 For particularly complex projects, which require great speeds of implementation and intense project management activities, XLAM DOLOMITI also offers its services as a GENERAL CONTRACTOR. This means that XLAM DOLOMITI can operate by providing a turnkey service, becoming the benchmark for the construction of hotels, studios, multi-storey buildings, tourist villages, and residential complexes, as well as providing decoration and furnishing. 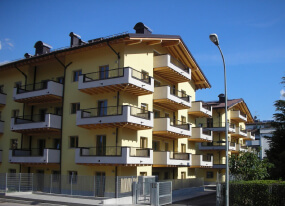 XLAM DOLOMITI designs and builds multi-storey buildings, such as private homes, condominiums, hotels, and wooden buildings featuring high acoustic comfort, energy saving, fire resistance and seismic protection. 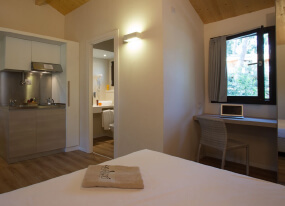 XLAM DOLOMITI has created the holiday resort Paradù Tuscany Ecoresort at Marina di Castagneto Carducci in Tuscany. The property was completely renovated in 2014 and consists of a chalet in recyclable natural wood, completely immersed in the Mediterranean green. 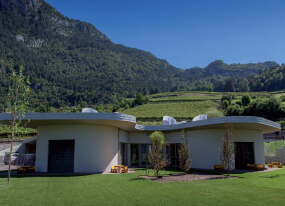 We have also managed in 2011, the Belvedere area construction, within the Hotel Villa Madruzzo property, a real jewel set in the wonderful Trento countryside. Cantina Toblino with a typical Hosteria trentina in Sarche-Madruzzo (TN). 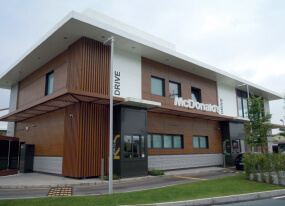 In less than 120 days XLAM Dolomiti managed to build turnway in 2012 the very first McDonald in XLAM structure. Works started in march 2012 and took over in june 2012. 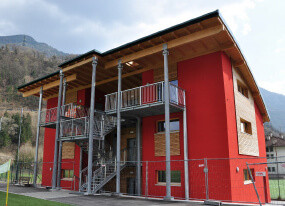 Xlam Dolomiti has built many public buildings, with a remarkable social value for our territory: such as the school built in 2015 and the Sport Center in 2010 in Trento.